I can’t believe it but I’ve been off work for almost three weeks now, it’s gone by so quickly! I can’t believe that it’s been that long since I’ve done any work – my own work that is. I’ve been taking my doctors advice and resting which means no work. 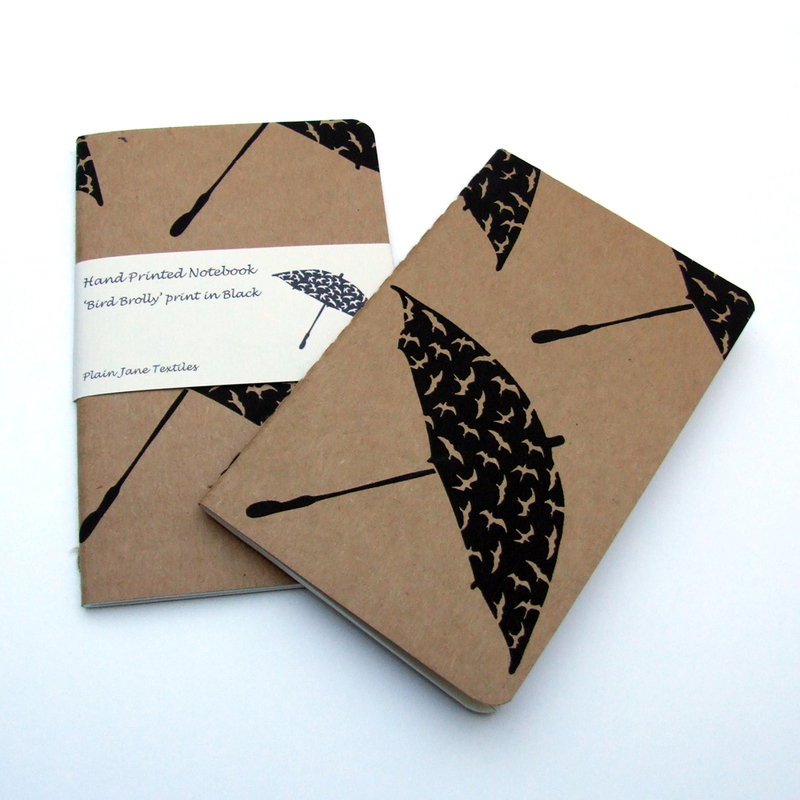 I cheated slightly by making a knitting bag one day and listing a few things on Etsy and Folksy including my new colour print of the Bird Brolly notebook…but other than that I’ve been really good! I’m not sure it has completely helped though because I’ve worried a bit this week about getting behind with work but maybe this break is a good thing. There’s nothing like getting ill to make you stop and take a break! Hopefully I’ll be back at work next week so I need to figure out a way to ease myself slowly back into my work. I thought the best idea was to purchase a few new supplies so I bought some purse and glasses cases frames this morning from my supplier in Hong Kong so in a few days they’ll be here hopefully! I’m also waiting to put another big fabric order in but it’s a little different this time. I’ve had a lot of requests over the last year or so for my fabrics which I’ve always said that I don’t sell. I have been thinking a lot about it over the last couple of months though as I make plans for how I want my business to develop. That was the main incentive behind applying for the studio to be honest – a larger space with room for a nice big printing table! So all this leads me to my next big plan – to concentrate on selling my fabrics for a while as opposed to the products I make from them. I think the only exception to this will be my knitting bags which are such a ‘nice little earner’ that I couldn’t possibly stop selling them I think! Plus they are my favourite product too! All this then leads me to my big fabric delivery – a lovely hemp cloth fabric which is so soft and a perfect craft fabric weight. 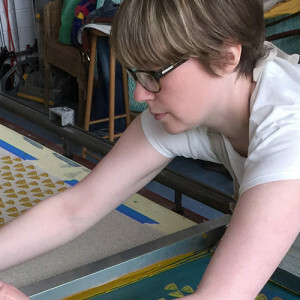 I’m talking to a couple of places about getting large scale screens made at the moment but I’m not rushing in to this at the moment as I need the time at the moment to get in and settled in to my new studio. Exciting news update this week – they’re knocking the wall down that seperates my studio and putting my industrial sink in – I can’t contain my excitement!!! I’m going to go and measure up for a few things soon hopefully so I’ll make sure I take my camera. Another exciting bit of news this week – me and the hubby booked our holiday! 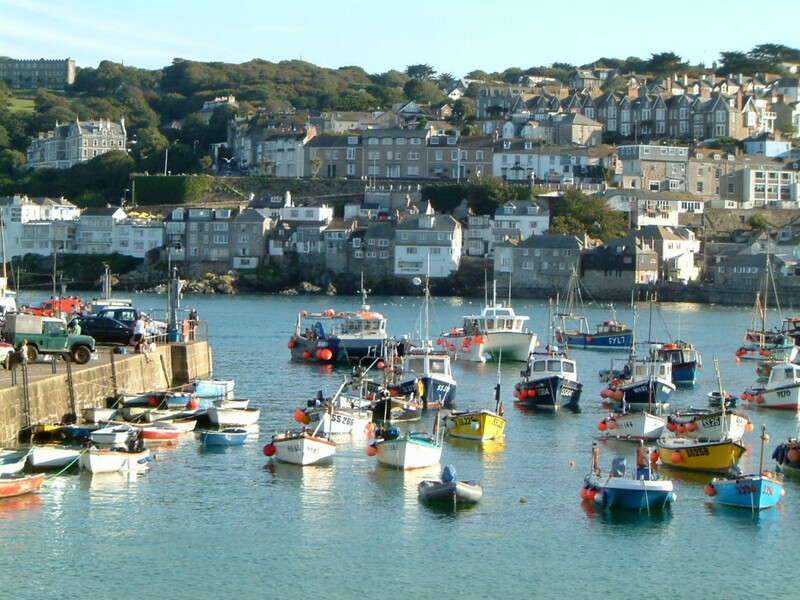 We weren’t sure we’d be able to go away as we had no-one to look after the dogs but my mum and dad have kindly stepped in so we went ahead and booked the train tickets and campsite – we’re going back to St Ives!!!! I can’t wait, the last time we were there was 2 years ago, the weather wasn’t great but the holiday was still fantastic. We’ve managed to find an even better deal with the train tickets this time too, train travel in this country is far too expensive! Here is a picture from when we were last there – beautiful!!! I can’t wait!